Network Consulting | Catalyst Technology Group USA, Inc.
As businesses grow and change, so must business processes and technology. Catalyst will help you get from where you are now to where you want to be by providing custom business technology solutions. 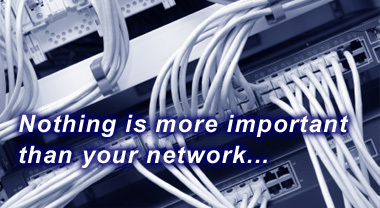 Our approach is simple — our knowledgeable and experienced staff of sales and systems engineers will analyze your environment and your objectives, suggest the equipment and software that will be most productive, efficient and cost-effective for your growing business, provide you with a competitive quote, and install and configure the desired network.